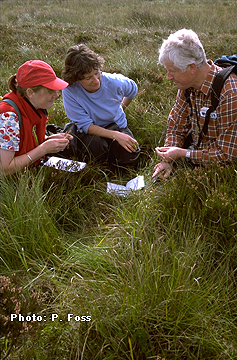 In this section of our web site we include information about educational school tours, visits and field studies; teacher training, workshops, guides and maps to IPCC Reserves and a variety of resources of educational use. We hope this will help you discover and learn about the wonderful bogs of Ireland. We look forward to working with you. Please follow the links below.